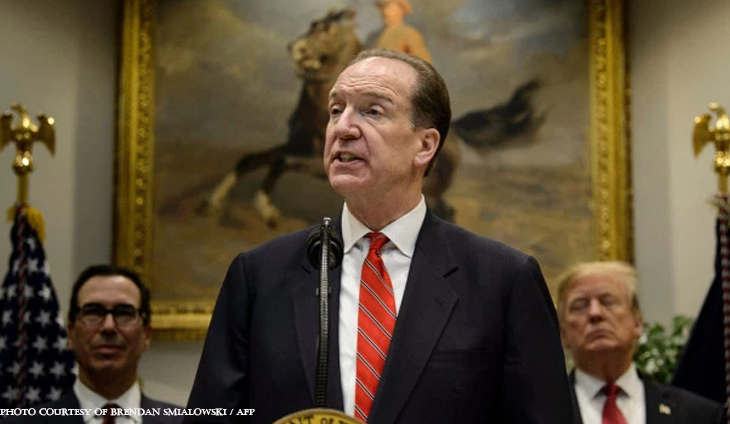 In his two years serving in the US Treasury, David Malpass has repeatedly lambasted the big development lenders as wasteful and ineffective, and called for reforms. Now he is poised to take over the helm of the World Bank, where he can put his own stamp on its policies — something that many experts say undermines the institution. President Donald Trump on Wednesday tapped Malpass to lead the World Bank, replacing Jim Kim who left February 1. According to an unwritten rule, as the single largest shareholder, Washington gets to choose the leader, with the support of European nations. “They are often corrupt in their lending practices and they don’t get the benefit to the actual people in the countries,” he said. By the middle of last year, about 20 career staff at Malpass’ office had quit, some of them chafing at his management style, according to media reports. He then began a lengthy stint at Bear Stearns — an investment bank that collapsed at the start of the 2008 financial crisis — including six years as its chief economist. He was an economic adviser to Trump’s presidential campaign in 2016. Word of Malpass’ nomination has spurred controversy and, should he take office, his presidency would mark a sharp break with that of his predecessor, Jim Yong Kim. “Imagine what appointing Malpass would do to intellectual quality and morale at the World Bank,” economist and New York Times opinion columnist Paul Krugman wrote on Twitter. But Malpass told reporters that his concerns about lending to China were addressed in the reform package World Bank shareholders approved last year. “China is the world’s second biggest economy so as it borrows from the World Bank it raises the question, Why is this having to happen?” he said, noting that he wants the bank to stick to its “graduation” policy for middle income countries. Still, many experts expressed outrage, accusing Malpass of disdain for the World Bank’s poverty reduction mission. “There is no case for Malpass on merit,” said Justin Sandefur, a senior fellow at the Center for Global Development, a development research organization in Washington.